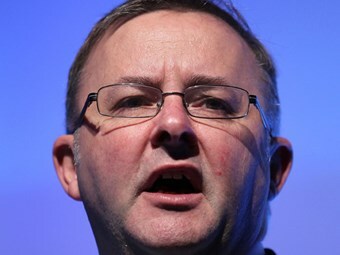 Federal Infrastructure and Transport Minister Anthony Albanese has won industry plaudits for his approach to dealing with the trucking industry. Australian Trucking Association (ATA) Chairman David Simon heaped praise on Albanese during his speech to the National Press Club yesterday for including industry in the development of national heavy vehicle regulations. Albanese invited industry representatives to attend ministerial meetings on national regulations and also appointed some to the board of the National Heavy Vehicle Regulator (NHVR). The industry has also gained board positions on the government body tasked with looking at new road charging and funding models. "I also want to congratulate Minister Albanese on the way he has gone about consulting with industry. It’s a model that should be used by many future governments across a lot of portfolios," Simon told the Press Club. "The current government has received a lot of criticism about its failure to consult but it’s not a criticism that I can level at Minister Albanese." Simon says the Albanese-led initiatives have improved transport policy and the NHVR. Albanese has also consulted industry representatives on rest area funding projects and also improved the consultation process governing annual heavy vehicle charges. During his appearance, Simon also spoke of the need to educate the general public about trucks, particularly the worth of higher productivity vehicles such as B-triples. "The problem we have is that the general public does not understand the safety benefits of those high productivity vehicles," he says. "I think the more we can do to educate passenger vehicle drivers, anybody with a licence, to understand heavy vehicles and to understand how heavy vehicles operate turning corners and how they need space, all those things are beneficial." However, he adds that the trucking industry must also play a role in alleviating community concerns about trucks. "If we can better perform on the road as an industry and not tailgate and not do some of those things that unfortunately some, a very small percentage of drivers do, we would be much better accepted by the community," he says.